Where can Pisces find love? In most cases, it’s not so hard for Pisceans to attract romantic glances. The main thing you should do is to turn on your psychic instinct. An animal rescue shelter is a good place to start with and it will only demand a few hours of your time weekly. And what about an office romance?  Pisces people belong to that rare group for whom an office affair is easy to start and participate in. Besides, it’s so easy to be on time when you know someone is waiting for you! A yoga class is another great variant – if an attractive instructor demonstrates a new pose, ask him or her to help you with it! The best astrological stress relief tips for Pisces.